TGIF, my lovelies. I hope everyone has a splendid weekend planned full of all sorts of awesome fun. The mail carrier brought a surprise to the door today, the November Glossybox, which had shown as being scheduled for delivery Saturday. We’re always happy to take delivery of any and all subscription boxes early, so thank you very much, Ms. Mail Carrier! We had already seen and blogged about a couple of the items as spoilers but still…It’s not quite the same as having the actual products in hand. Let’s see what’s in the November Glossybox and if it meets our standards to go forward in 2015. And there’s a familiar sight, the lovely pink box emblazoned with black lettering. One more sip of coffee and we’ll lift the lid and check out the contents. And there we have it, this month’s descriptor card outlining the products contained herein, with the products hidden by a layer of pink tissue paper. Let’s dig in and see what goodies we’ve received this lovely Friday morning. Anything encased in purple has to be good. That’s just a hard and fast rule at Casa Beholding Eye. 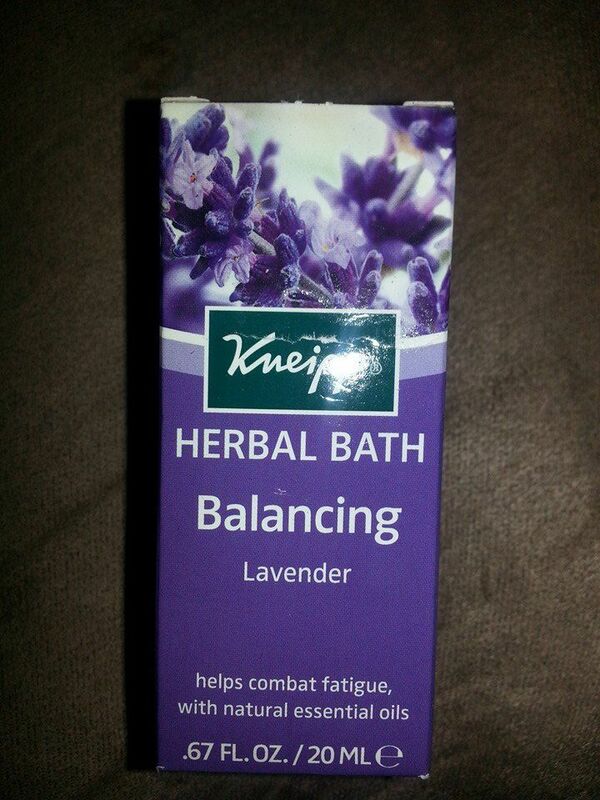 Here we have a sample size of Kneipp Herbal Bath: Balancing in Lavender. Out of Germany, this touts the ability to calm nervousness and control mental fatigue. Sounds promising. Smells divine. 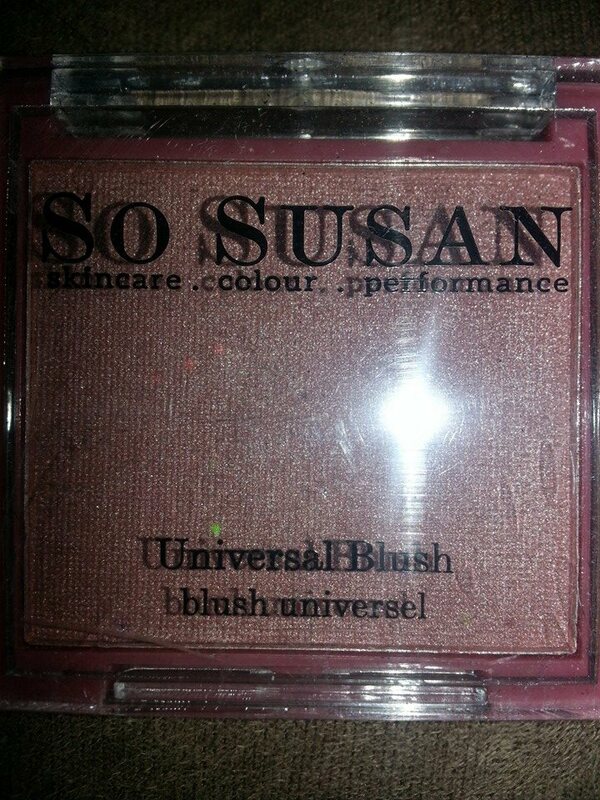 Can’t wait to try this out tonight, maybe with a candle or two going to add to the ambiance. After a long week of work and holiday activities, this might be just what the beauty doctor ordered. 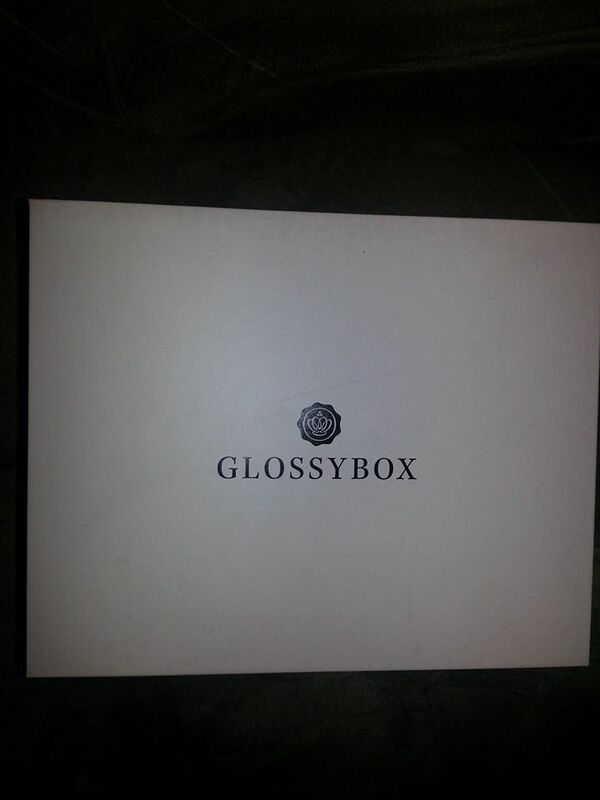 Grazi, Glossybox! Oh, this looks promising. 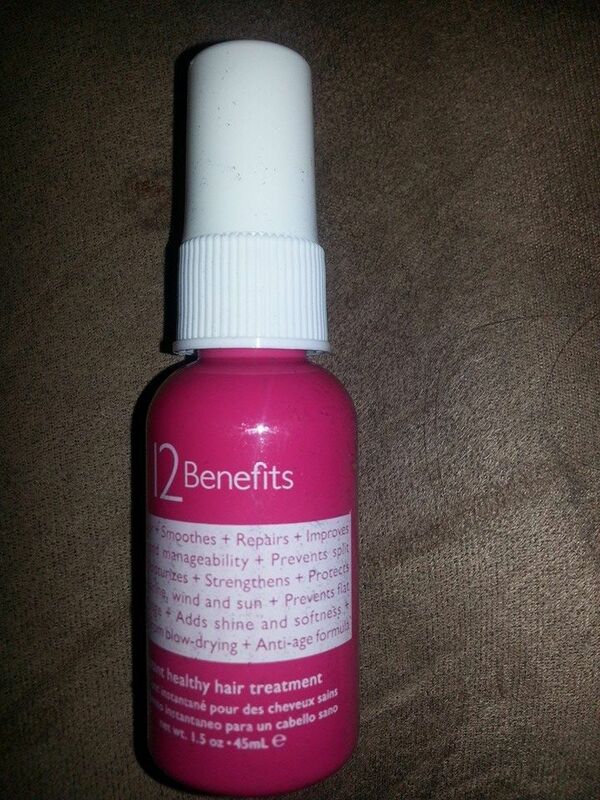 A very decent-sized sample of 12 Benefits Instant Healthy Hair Treatment. This is a leave-in treatment designed to offer a dozen benefits (hence the name, I gather) to chemically processed, pollution-exposed, or heat-styled hair, as well as boosting vibrancy of existing hair color and preventing sun stress through sunscreen. We love hair products (especially my daughter with her epic mane of thick, naturally wavy hair). She’s really looking forward to trying this out. I’m excited about this product, as it happens to be from the same skincare line as one of the products in the FabFitFun Winter box, which should be shipping anytime now. From Juice Beauty, it’s their Green Apple Age Defy Moisturizer, which is purported to be a potent brightening complex of apple, lemon and white grape juices with vitamin C and peptides. 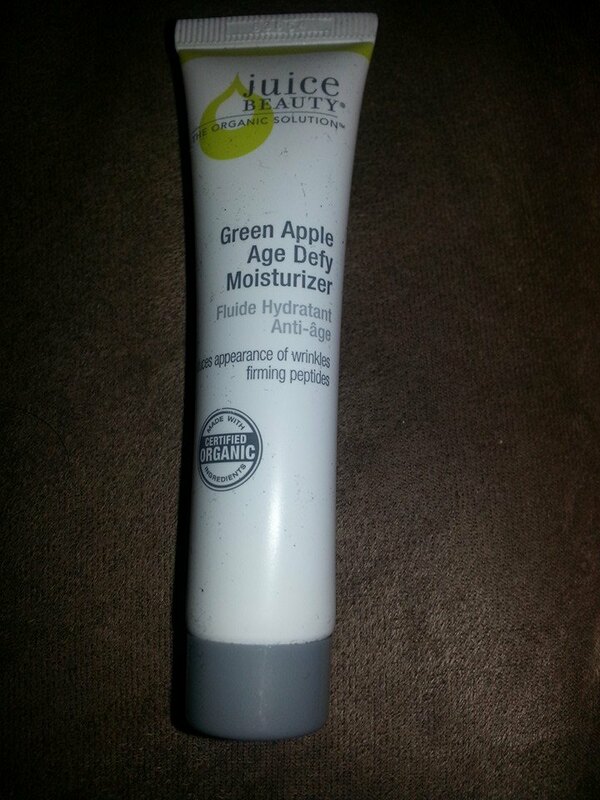 I’ll hold off on using this product until I receive the green apple peel coming in the FFF box. This is very nice-sized sample and should be more than efficient to determine whether it’s worth pursuing a full-sized product. It’s difficult to capture in a photograph, but it’s a truly gorgeous combination of pink, mauve, peach, and copper with flecks of gold that truly does look like it would be perfect on any skin tone. I think my daughter and I may have to engage in a quick game of rock/paper/scissors to see who wins primary custody of this piece of awesomeness. 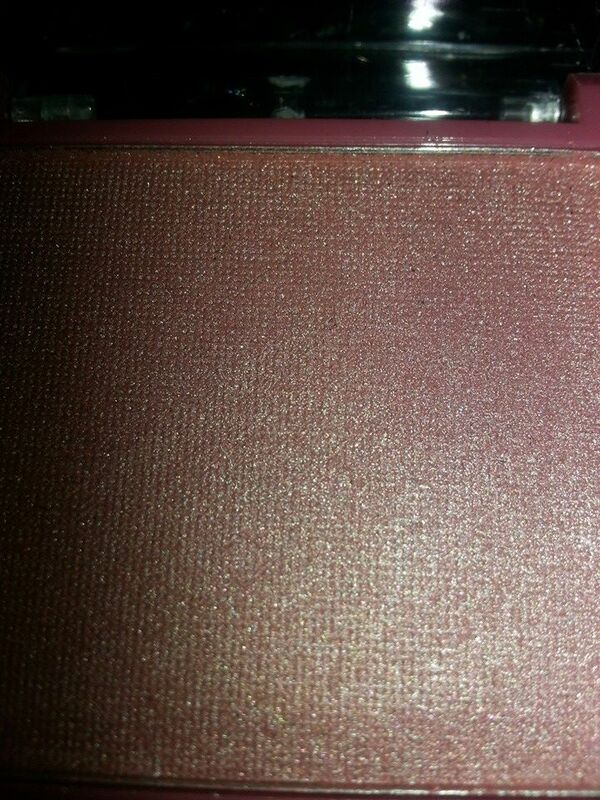 From OPI is the custom-created nail lacquer in “Pink Outside the Glossybox.” Cute name, lovely color. While it’s probably not something that will actually be used until Spring, it is nonetheless a very pretty shade that would work equally well on a mani or a pedi. And OPI has great products, so we have high hopes for this little gem. And there we have it, the November Glossybox, all unboxed. Now for the test of whether to keep it or kick it to the curb in 2015. Does it have products we’re looking forward to trying? Why, yes. Yes it does. Every single item in this box is definitely something either my daughter or I will love trying on for size. Do we feel that we got sufficient bang for our proverbial buck? For $21/month, yes. Two of the items are full-sized products with a retail value of about $35, with 3 additional deluxe-sized samples of equally impressive products. 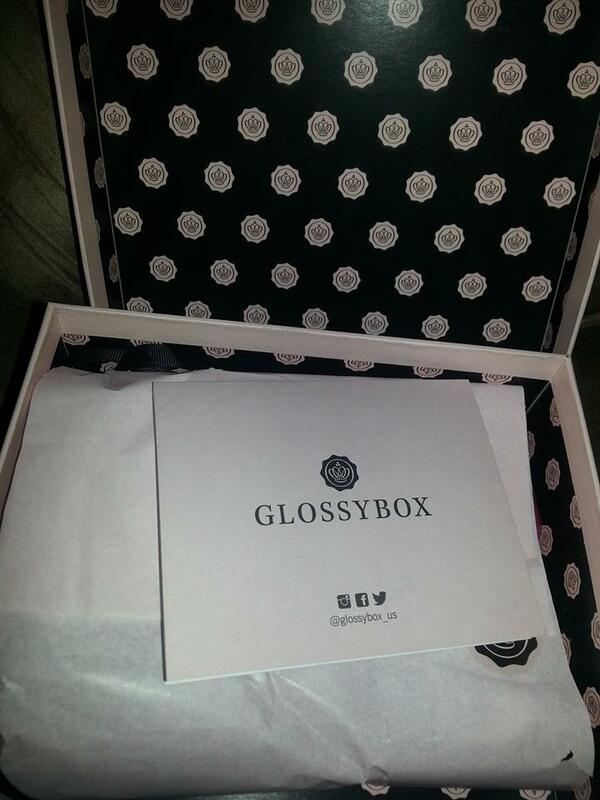 Will Glossybox be kept around for the December box and going into 2015? That’s a resounding yes. In fact, after careful consideration, if we ever had to decide between Allure Sample Society and Glossybox, we’d probably opt to keep Glossybox. There’s a nice variety of products and even the deluxe samples are of a sufficient amount to get a good idea on how effective any given product might be.